Giant poster dedicated to Sheikh Zayed Bin Sultan Al Nahyan, located near the Presidential Palace in Abu. All rights reserved. When the news broke in mid-October that a young British academic was held by Abu Dhabi for his research, Matthew Hedges had already been imprisoned for over five months. As early as May, Matthew had travelled to the Emirate aiming to conduct interviews for his PhD on civil-military relations in the United Arab Emirates, post-Arab spring. Despite obtaining all the required permits and meeting several officials, he had been arrested and placed in solitary confinement at an undisclosed location. Emirati authorities claimed that his research activities were but a cover for surveillance on behalf of British intelligence and charged him with espionage for a foreign state. Amid the international outcry about the gruesome murder of journalist Jamal Khashoggi in Istanbul by a Saudi hit squad, this came as yet another shock to those who had thus far viewed the Arab Gulf as an anchor of regional stability. For those studying the region, by contrast, Matthew’s detention hardly came as a surprise. The case of the Durham PhD student exposes the extreme limits on academic freedom in the UAE, but it is not an isolated incident. Instead, it exemplifies a larger authoritarian trend in the Middle East and North Africa (MENA) that has impacted students of and in the region at an alarming rate. Notably, the shrinking spaces for academic research in and on the Middle East. This trend signals a massive rollback of the auspicious research climate in the wake of the so-called “Arab Spring” of 2011. In 2011, the wave of protests in the region caught many social scientists by surprise. Prior to the Arab Spring, studies of Middle East politics had largely centered on structural factors and on political elites. Only a few critical scholars had focused on “politics from below” – and even they had mostly concentrated on modes of contestation below the threshold of public protest which, effectively, was rare in the repressive contexts of the Arab regimes. The sudden emergence of popular coalitions between various social sectors that had been assumed ineffective or apolitical, effectively revealed the blind spots of these analytical frameworks. This turned into an opportunity for many researchers who had paid little attention to the region so far: transitologists eagerly diagnosed the advent of a fourth wave of democratization in the Arab World and North Africa. Movement scholars explored the similarities between the roundabout revolutions in Bahrain, Cairo, Sanaa and Tunis and the spatial occupations by the Occupy movement and the anti-austerity protesters in Southern Europe. And students of revolutions compared the cross-class and cross-ideological coalitions of the Arab Spring to revolutionary movements in Eastern Europe and Latin America. The revolutions furthermore stirred feelings of solidarity, particularly among young researchers who could identify with the agents of change and their pluralist and emancipatory ideals. As their enthusiasm was matched with new funding opportunities, the Arab Spring created a gold-rush mood that prompted many social scientists to venture into new terrain. This effectively propelled the discipline of Middle East Studies from a niche existence to the centre of political science. However, the newfound interest in the region also impacted the way in which Middle East scholars would henceforth be perceived. Between 2011 and 2013 western policymakers fostered an active exchange with Arab activists and civil society organizations. Researchers often facilitated this process by establishing contacts and supplying roundtables with expertise. In many western capitals, researchers thereby functioned as international multipliers of the protest actors’ voices and contributed to the dissemination of their demands. This cemented the image of Middle East Studies as a partisan discipline that not only sympathized with its research subjects but energetically supported them in their struggle against the old autocratic orders. 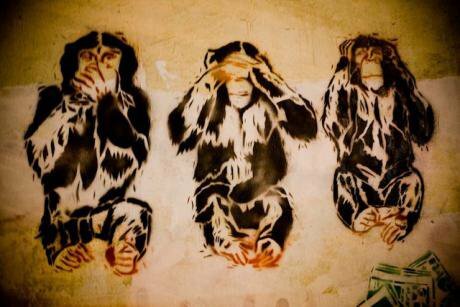 The fact that part of the Arab Spring literature was authored by MENA newcomers reinforced this impression. In short, countless researchers with little to no experience in the region had parachuted into the post-uprising contexts to interview the Tahrir revolutionaries. This had consequences – including for seasoned scholars who, for years, had treaded lightly to conduct their research despite the authoritarian closure. When the Arab Spring gave way to an autocratic restoration, both newcomers and old hands were in for a rude awakening. When the Arab Spring gave way to an autocratic restoration, both newcomers and old hands were in for a rude awakening. Before 2011, authorities in the region largely regarded social scientists as bearable, albeit annoying, interference. Compared to the potential legitimacy costs of arresting and deporting critical (above all, western) scholars, their presence was simply the lesser evil. With few exceptions, most authoritarian powerhouses had furthermore condoned critical scholarship in their countries’ universities as a poster child for the international community. In the aftermath of the Arab Spring, this informal arrangement came to a jarring halt. In most of the countries that had been shaken by mass protests in 2011 (and in their neighbourhood), research on organized non-state actors (opposition parties, critical civil society, social movements, unions) became off-limits – followed by other issues regarded as sensitive, from civil-military relations to corruption to cultural history. In Syria, Libya, Yemen and Iraq, war and state fragmentation additionally soon complicated field access. By contrast, in Bahrain, Egypt, the Maghreb, the Gulf States and Turkey, scholars moved into the cross-hair of reinvigorated security states that had recovered from their setbacks during the uprisings – and learned from their mistakes. Recognizing researchers’ mediating function and their hand in the dissemination of subaltern knowledge that challenged the new order, these apparatuses began to target academic communities on a new level. We lack comparable systematic data for the violation of academic freedoms in the region. This is partly because affected researchers have an incentive to keep their experiences to themselves, either to avoid losing field access or out of fear of endangering their research participants and interlocutors. The few NGOs that collect data about the repression of researchers are equally hesitant to publish non-aggregated data, as it could contain leads to individual cases and entail repercussions. But even the available evidence paints a stark picture. Today, Middle East researchers routinely suffer from repression by state authorities in the form of intimidation, travel bans, or imprisonment on trumped-up charges; others face denial of entry into specific countries. Among those who have come under fire are also scholars abroad: exiled writers are intimidated by representatives of the regimes they study. Foreign scholars are monitored by Arab diplomatic missions. And scholars based in the region often carefully conceal their itineraries when travelling abroad to avoid repercussions. Consequently, several cities that previously served as intellectual hubs (e.g., Berlin, London) are today shunned by many Middle Eastern academics, due to the watchful eye of Arab security services. In 2016/2017, the UK-based Council for At-Risk Academics recorded the highest demand for external support for academics since the forced exodus of scholars from Nazi-occupied Europe in the 1930s – most of them coming from the Middle East and the surrounding region. In 2016/2017, the UK-based Council for At-Risk Academics recorded the highest demand for external support for academics since the forced exodus of scholars from Nazi-occupied Europe in the 1930s – most of them coming from the Middle East and the surrounding region. Responsible for the rise of weekly applications for help, from 3-4 per week before the 2011 upheavals to 15-20 today, were most notably the persecution of critical scholars by the Syrian regime, the deportation or detention of scholars with ties to Human Rights NGOs or the opposition in Egypt, as well as the suspension and prosecution of researchers after the failed military coup of 2016 in Turkey. Similar tendencies can be identified in Scholars-at-Risk’s “Academic Freedom Monitor” and the Global Coalition to Protect Education from Attack’s yearly “Education under Attack” report. The latter puts a particular emphasis on a total of nine states in the region, identifying Egypt, Iraq, Israel, Libya, Palestine, Sudan, Syrian, Turkey and Yemen as hot spots for academic research – not even mentioning the GCC states which barely ever grant access to foreign researchers and have recently detained several scholars on charges of espionage. Despite widely shared protest notes, the international reaction to the orchestrated campaigns against vocal academics has been limited – as have been the repercussions for perpetrators. This is true even in the most brutal cases: Giulio Regeni, an Italian researcher of independent unions, was kidnapped on the fifth anniversary of the Egyptian revolution in January 2016, tortured and killed in Cairo. The murder bears the hallmark of the Egyptian security state but remains unresolved – even more than two years later. There was nothing particularly contentious about Regeni’s research. Regarding his institutional affiliations, his personal characteristics, his command of Arabic or his local networks nothing set him apart from most other researchers in Egypt. His research topic, an interview-based study of an independent street vendors union, was sensitive, but not more so than that of many others. It was precisely because Regeni was so representative for the entire field of Middle East studies that his murder sent such a strong signal. On social scientists, it had its intended effect. Poster of the “Verità per Giulio” campaign. All rights reserved. Researchers in Cairo at the time were investigating outlawed socialist or Islamist movements, such as April 6 or the Muslim Brotherhood; others were researching army massacres or forced disappearances. It was precisely because Regeni was so representative for the entire field of Middle East studies that his murder sent such a strong signal. On social scientists, it had its intended effect. Their reaction resembled that of scholars in Turkey half a year later, when authorities engaged in a cleansing campaign against alleged sympathizers of the Gülen movement: established researchers hastily left the country or severed ties with their interlocutors, doctoral students across the globe switched their country focus and renowned graduate schools halted projects that involved fieldwork in Egypt. Moreover, the case caused a lack of confidence between many researchers and their research participants. One of Regeni’s interlocutors had denounced him as a foreign spy to the police. The head of a Cairo street vendors union saw it as a “national duty” to report his suspicions to authorities. Who could guarantee that other interlocutors would not follow suit? Almost all trade unions, social movements, and opposition parties researched by social scientists in the region for their role in the Arab Spring are today affected by state repression. After Regeni’s murder, many scholars began to consider the scenario that some of them might collaborate with police in exchange for alleviated restrictions. The international responses were sobering, too. 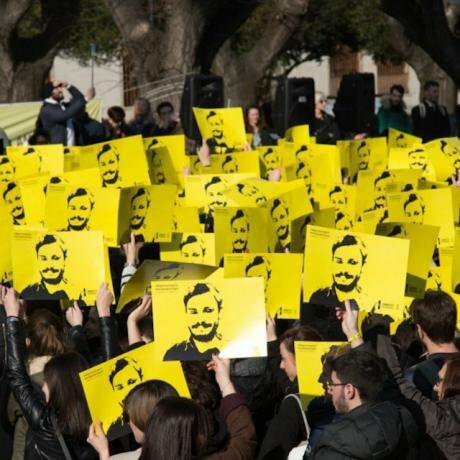 As Egyptian authorities stonewalled the Italian investigations, the yellow press unleashed a fierce defamation campaign against Maha Abdelrahman, Regeni’s PhD supervisor at Cambridge University. There was no suggestion that Abdelrahman was in any way involved in the case. However, Italian magistrates questioned her, seizing her computer and cell phone, and this had a chilling effect on researchers who had thus far counted on the undivided support of their governments and home institutions. It wasn’t long until the unfounded reproach to Abdelrahman turned into a general suspicion. Several media outlets concluded that Middle East researchers were bringing it on themselves by conducting research in this dangerous part of the world. These suspicions unwittingly reified the narrative of many Arab autocrats according to whom the deployment of western scholars to the Arab World represents nothing short of a foreign intervention perpetuating neo-colonial asymmetries. It wasn’t long until the unfounded reproach to Abdelrahman turned into a general suspicion. Paired with the common anecdotes of harassment during fieldwork, smear campaigns and personal threats against friends or research participants, these reactions contributed to a climate of uncertainty. In the relatively small Middle East studies community, it caused a setback in research activities as researchers felt left alone with the changing realities of their work. The SAFEResearch project for the development of a handbook for safer field research in conflicted environments has gathered the experiences of dozens of scholars on this. Apart from self-protection and the need for better preparation for field research, they reveal that especially the protection of research participants has become challenging in a Middle East where red lines are constantly shifting. Local informants and facilitators – activists, fellow researchers, but also drivers, fixers, translators etc. – are usually affected by state repression already. How can the additional attention be legitimized that “academic tourism” from the Global North brings to them? Many researchers admit that, in today’s Middle East, they cannot really guarantee anonymity and adequate protection, given their increasing surveillance by security services. For Middle East Studies institutions, the current authoritarian contraction in the region is applying a litmus test as well. Thus far, their reactions have varied from sheer ignorance to a strategic disregard of the shifting climate, to a downright return to the structuralist comfort zone of those times before the Arab Spring: the advantage of resuming such a bird’s eye view on the region is that scholars do not necessarily have to engage with those very civil society actors that could put them on the spot. Some reputable higher education institutions, by contrast, controlled for the risk that their researchers could be targeted, by imposing an informal embargo on projects in certain countries deemed as too risky. Others at least tightened their fieldwork approval process for their members. The degree of formalization ranges from compulsory research visas for field trips (whose issuance for sensitive projects is highly unlikely in most Arab countries), to an obligation to obtain specific risk insurance (whose policies are all but unaffordable for most public universities), to compulsory risk assessments prior to field researchers. Many researchers have welcomed such a formalization of fieldwork. After all, it has showed that the question of how to make research safer has made it onto the institutional agendas. Particularly field research embargos stem from their realization that there is actually little universities can do to protect their staff in case things go wrong. They are thus first and foremost the visible symptoms of institutions honouring their duty of care. This is also true when senior scholars, for understandable reasons, decide to no longer supervise any projects that could put students in harm’s way. Revolutionary Graffiti from Mohammed Mahmoud Street in Egypt, by Hossam El-Hamalawy. Flickr. Some rights reserved. At the same time, however, the new restrictions on field research have unwittingly contributed to a securitization and juridification of field research. What is more, many of the new constraints on research are helpful in theory – but they put the burden of dealing adequately with risks firmly on the individual researcher. In particular, risk assessment requirements have become a fig leaf that, without being accompanied by proper training, is hardly capable of adequately protecting researchers. Such courses are still rare at faculties. Resources, information and training opportunities for proper ways of addressing research-related risk are widely lacking. Mostly, junior researchers still acquire their knowledge on the potential risks of their work by puzzling together bits of advice from their fellow researchers. In the best case, these strategies are field-proven and up to date. In the worst case, they are outdated or even counter-productive, creating a false sense of security. Unlike crisis journalists or NGO workers, social sciences have neglected the risk factor that comes with their research for too long. This is not only true for the Arab world. But it is here where the need for professional engagement with the policing of researchers is currently most evident, and where the effect of a repressed academia is so stark. As the region is turning into a particularly inhospitable place for critical inquiry, many researchers who had just discovered the Middle East for their work are already turning way. Lacking solid institutional support in dealing with the tougher fieldwork conditions, unsurprisingly, also many seasoned scholars are directing their attention to other parts of the world where they are facing fewer risks. Individually, this shift of priorities is reasonable. For Middle East Studies as a discipline, however, it is detrimental. Not only because it risks sliding back into its pre-Arab Spring niche existence. But first and foremost, because the remaining Middle East scholars in the region will be left to fight their uphill battle alone.